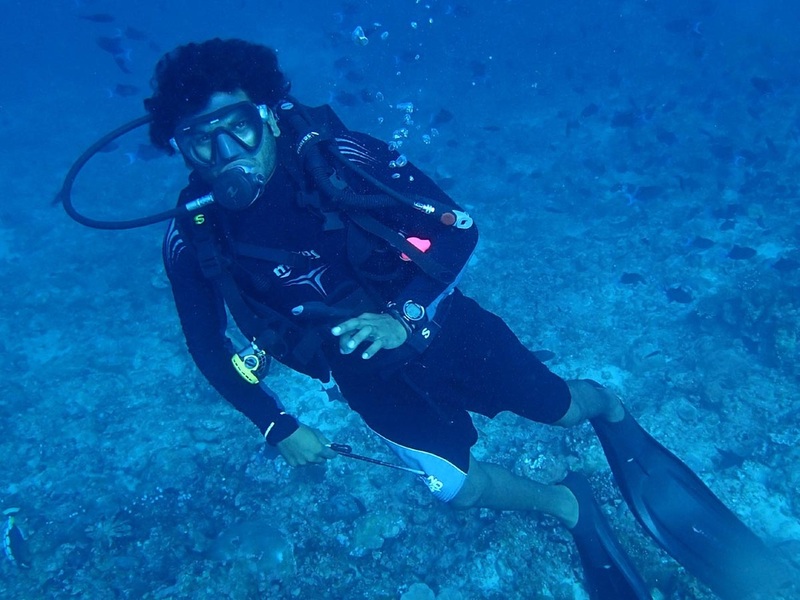 This diver wears shorts and full length body suit on the torso. Full length suit or a shorty? It's up to you! The sea in Maldives has a surface temperature of 29 degrees. Even at 30 meters is it comfortable 27 degrees. The risk of hypothermia is therefore slim. However, we have individual temperature tolerance. It is fully possible to dive and snorkel with shorts and T-shirt. Many divers and snorkelers prefer to cover the entire body, just in case they bump into a stinging jellyfish or sea anemone. A full length body suit does the job. If you easily get frozen, you will need a wetsuit. Wetsuits are made of neoprene, which prevents the body to loose heat. 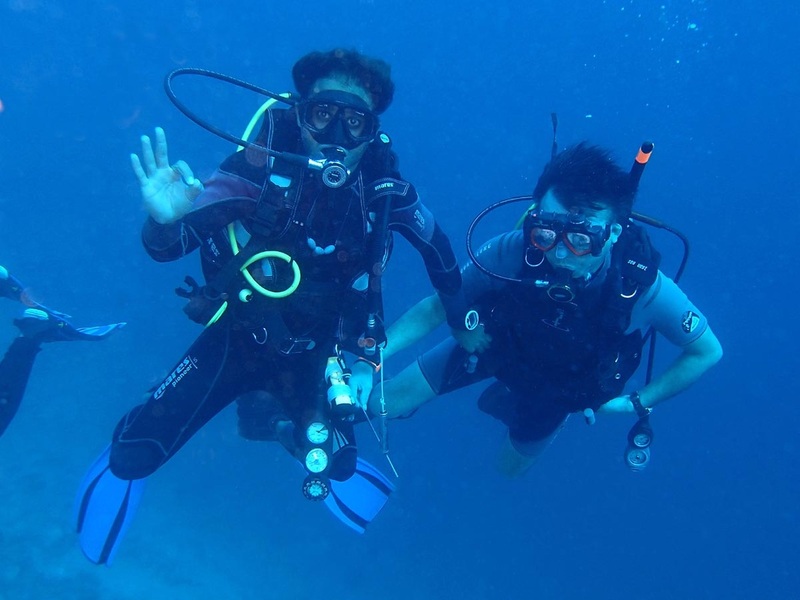 A 2 or 3 mm “shorty” is sufficient for a comfortable dive, while a full length suit adds protection from sharp corals. The head and neck are responsible for 40 % of the body's heat loss. A hood is therefore essential when diving in cold water. It will also keep long hair organized. Diving boots have two functions. Firstly, they are necessary when using open heel fins. Secondly, they are handy when diving from shores with rocky bottoms.